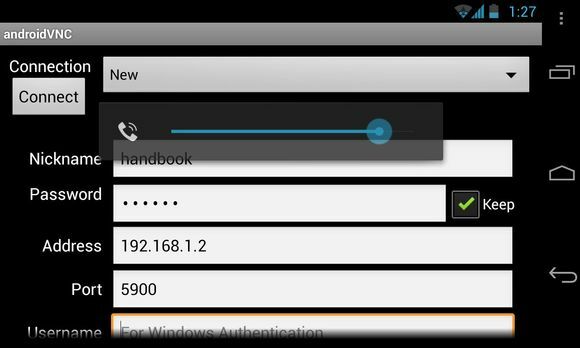 In this tutorial I’ll show you how to easily connect to your Ubuntu Desktop using Android Phone. An Ubuntu PC connected to your home network (I’m on Ubuntu 12.04 LTS). An Android Phone (Mine is LG E960, Google Nexus 4). 1.) On Ubuntu, search and open Ubuntu Sharing from Unity Dash. Thanks a lot. Worked perfectly on my ubuntu 13.10 and my Samsung galaxy note phone. does it work on internet? yes it can work on internet provided you have a static IP for your (ubuntu) server, or use a dynamic DNS service (such as dyndns.org or noip.com) to be able to identify your remote server. The upload speed on the internet is usually quite low, so don’t expect instanteneous interactivity in remote sessions (eg watching a movie should be ok, playing an RPG might not be). I don’t seem to be able to get the unity launcher to pop-out (docked on left side of desktop). I should mention I did this on an Android Tablet (Asus Transformer Infinity). Hi, thanks for your post. Interesting. I do have a question for you. 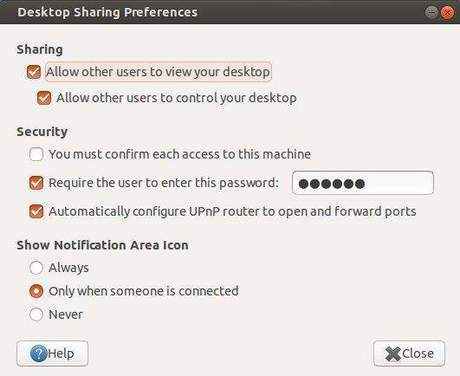 In ubuntu 14.04 that is not listed, I tried to find it but desktop sharing is not there. Do you know another way to do that? 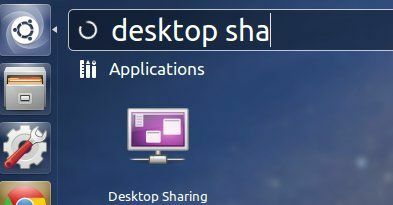 Click the orange button and it should take you to the software center when you can install Desktop Sharing and then you should be able to find it in Unity. Good luck! I tried this, and it did not work. I recieved the error “Server did not provide supported security type”. I do have full disk encryption on my Ubuntu 14.04.2 setup, could that be the cause? I got that error too. I fixed it by either turning on UPnP or portforeward 5900, 5800 and 5500. I’m also fully encrypted on 14.04. Hope to figure it out tomorrow.